Arts Montco and the Valley Forge Tourism & Convention Board (VFTCB) are proud to present musicians of the world-famous Philadelphia Orchestra at the historic Keswick Theatre on Thursday, March 21, 2019, at 7:00 PM for a community concert showcasing Montco’s vibrant arts scene and providing funding for arts education in Montgomery County public schools. This is the first time a Philadelphia Orchestra ensemble has played at the Keswick Theatre. 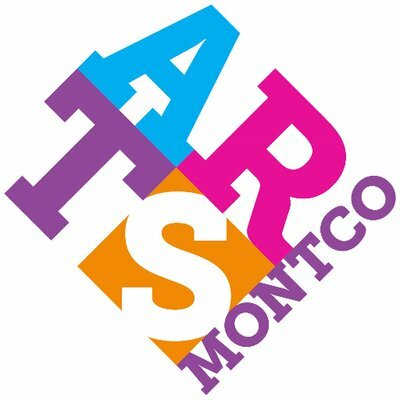 Arts Montco and the VFTCB will donate concert proceeds to provide arts education programming in four Montgomery County public schools in the 2019-2020 academic year – Eisenhower Science and Technology Leadership Academy and Stewart Middle School in Norristown, Perkiomen Valley Middle School East in Collegeville, and Upper Moreland Middle School in Hatboro – through a partnership with the Montgomery County Intermediate Unit (MCIU) and Musicopia. The MCIU provides services that meet the educational and social service needs of Montgomery County’s 22 public school districts. Musicopia is a non-profit organization offering educational music enrichment programs in schools and communities throughout the Philadelphia region. Along with funding for arts education, a side-by-side rehearsal with Philadelphia Orchestra musicians and local students in the Abington School District will also take place later this school year. This year marks the 90th anniversary of the Keswick Theatre, which opened its doors on Christmas Day in 1928. The 1,300-seat theater was the original home of the Old York Road Symphony (OYRS), whose founders included Louis Angeloty, who had been first chair of The Philadelphia Orchestra. The March 21st concert at the Keswick Theatre will feature works previously performed at the Theatre by the OYRS, which gave its first concert there in the spring of 1933. The OYRS is still active today and its official home is Abington Senior High School. Some OYRS alumni have even gone on to become members of The Philadelphia Orchestra. The March 21st concert will take place during the Orchestra’s “We’re HEAR Week,” which supports the Orchestra’s HEAR initiative, a portfolio of programs that promotes Health, champions music Education, eliminates barriers to Accessing the Orchestra, and maximizes impact through Research. The 90-minute program will feature a chamber ensemble under the baton of Philadelphia Orchestra Assistant Conductor Kensho Watanabe and will include selections by Grieg, Mozart, and Tchaikovsky. The Philadelphia Orchestra will return to Montgomery County in the summer of 2020 for a major outdoor event. Limited tickets are still available online at www.valleyforge.org/orchestra, at the Keswick Theatre Box Office, and via phone by calling 215-572-7650.